My good friend Bob recently send me a photo of a new patch available from the council office. 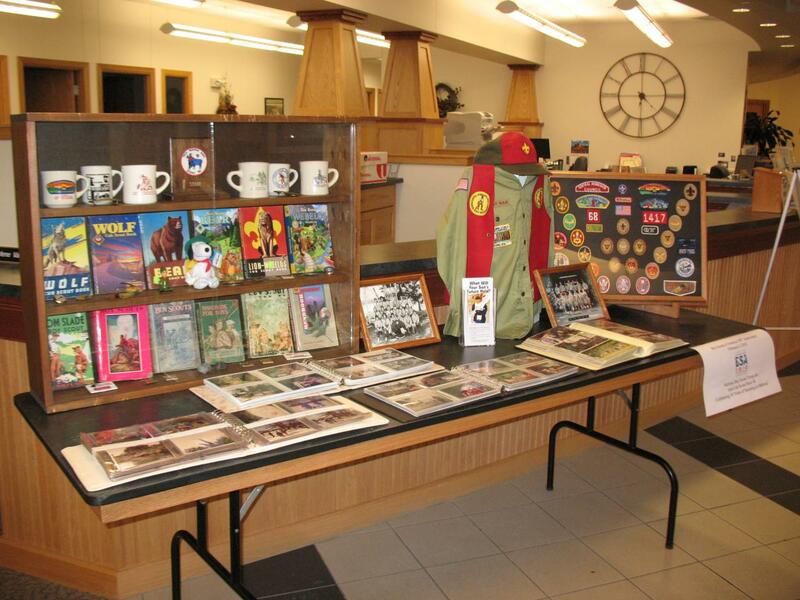 The patch celebrates the 75th anniversary of Parker Scout Camp, our council’s camp. Of course, I needed one for my collection. He picked one up for me and dropped it off Friday afternoon. I have a lot of memories from Parker Scout Camp. I attended summer camp there for three years in the 1970’s. Our troop has used the camp for many weekend outings during the last three decades, including winter camps and district camporees. The Naguonabe Lodge holds most of their Order of the Arrow functions at the camp. While the camp closed as a summer camp after the 1970’s it is still used a lot for weekend Boy Scout outings, Cub Scout day camps, and youth and adult training sessions. In fact, I heard it once said that the camp probably gets more use now than it did during the summer camp years. The camp was established in 1941 by Clyde Parker. It is located north of Brainerd on North Long Lake. The camp has gone through a few names changes over its 75 year history. I think its first name was Camp Clyde. When I went there for summer camp it was called Parker Scout Reservation. Now it is simply Parker Scout Camp. The camp is unique in that it has a castle on the property, with modern conveniences of course. The castle is popular with the Cub Scouts during day camps. Troops can rent it for weekend outings. Information about the camp can be found at http://www.bsacmc.org/parker-scout-camp . It is time to join Scoutmaster Steve and Buttons, the radical Boy Scout, Around The Scouting Campfire. In this episode they discuss city proclamations about the Boy Scouts of America’s 100th anniversary and Scouting For Food, some iTunes reviews, reasons you might be a Boy Scout, and gopher guts (the song). Steve and Buttons thank PTC Media (http://www.ptcmedia.net) for allowing this program to be a part of the family of Scouting related podcasts. We would like to thank the Boy Scout Store (http://boyscoutstore.com) for sponsoring this show. Be sure to take a moment to check out their website. Finally, we would like to thank you, our listeners, for downloading Around The Scouting campfire. Download episode #13 by clicking HERE.